We believe a better feeling body equals a better feeling mind. Our goal is to help you feel great in your body. Every massage is tailored to suit your individual needs, allowing for a greater sense of balance, relief, and wellbeing. We are VA State and Fairfax County Licensed. We are dedicated to alleviating stress, tension, and muscular pain through Deep Tissue Therapy. 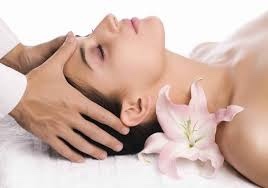 Acupressure / Shiatsu Therapy will restore health and balance to the body's channels of energy. Let us boost your circulation, loosen your tight muscles and knots, and soothe your nerves. We believe that a relaxed body equals a relaxed mind. Our goal is to help you feel great in your body allowing for a greater sense of balance, relief, and wellbeing. "Studies of the benefits of massage demonstrate that it is an effective treatment for reducing stress, pain and muscle tension."